Year 4 have been enjoying learning some basic yoga postures and sequences, the children have been improving their balancing skills and stamina. They have been extremely keen to learn this new discipline and have particularly enjoyed learning some of the posture names such as ‘trikonasana’ triangle pose, ‘Virabhadrasana’ warrior pose and ‘Adho Mukha Svanasana’ downward dog pose. 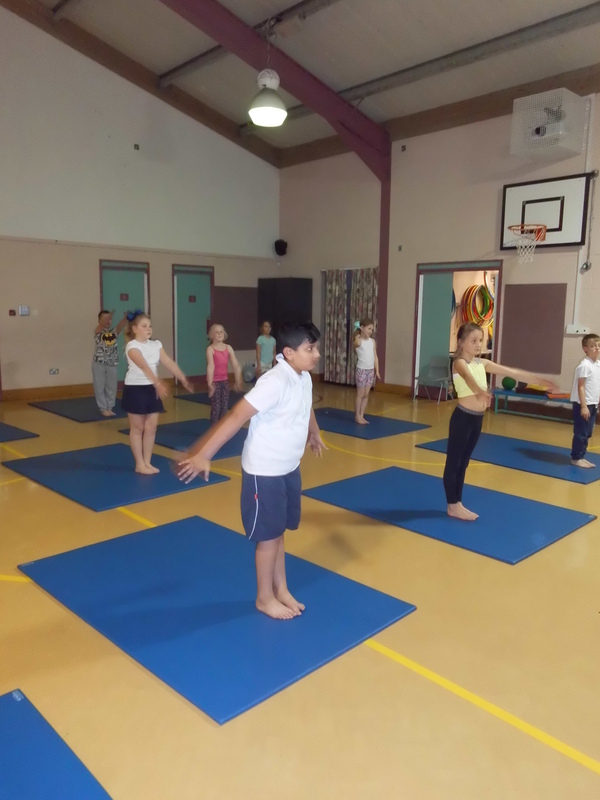 The yoga class will continue for year 4 pupils next term on Tuesdays 10/1/17- 14/2/17 from 3.30pm.-4.05pm.